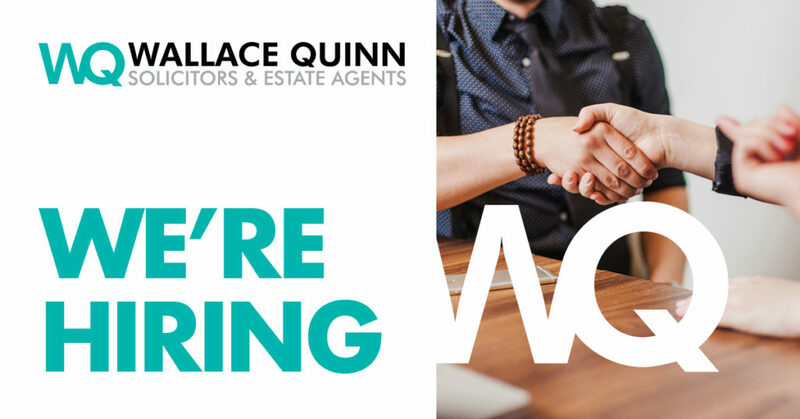 Wallace Quinn are a Scottish law firm with offices in both Glasgow and Livingston. We offer a full range of legal services helping you with every aspect of your home life, personal life and business life. We have a busy Estate Agency and a vast experience of working with builders on new build property transactions. Wallace Quinn aim to be a trusted adviser, whether for a single issue or throughout your life. An adviser you can talk to about sensitive issues such as writing a Will, or more exciting issues such as buying a house. An adviser who you can tell anything and everything and know that whatever they say, they’ve got your best interests at heart. Enjoy exploring our website and we’re happy to help with whatever you need, whenever you need us. Wallace Quinn are your lawyer for life – home life, personal life, business life.